Hello out there friends ! I hope you're all doing fine. Not as in 'okay' fine, but rather, wonderful! fantastic! Things are going well over here. Getting ready to fly the whole family overseas and across the equator to New Zealand for my brother's wedding. About this time of year - when the snow has settled in - I always get the itch for more sunlight, sunshine and sandal wearing - like most Canadians - so I'm really looking forward to basking in all of those things over the holidays. I'm also really looking forward to the prospect of RECORDING SOME NEW MATERIAL in the new year! I've been writing and dabbling with recordings here and there over the last few years while looking after my kiddos and continuing to play shows, but I'm really excited to release a new batch of songs - ya know!?! If all goes accordingly, I'll be recording the new album in Vancouver with a multi-platinum Juno Award winning killer producer in the spring, and releasing the music in fall 2019 ish. Eeee!!! In the meantime, I tend to keep my 'socials' a lot more up to date than this blog so feel free to follow me on instagram ( chloealbertmusic) or Facebook (Chloe Albert) for more week to week happenings, or as always, you can e-mail me at : chloe.albert@gmail.com I love to hear from you! And my mailing list right on this website's 'Newsletter' is a great way to find out about any upcoming shows near you. Why does summer always fly by so quickly!? Its incredible really. A few weeks ago I flew to Nashville to take part in a writer's workshop led by the incredible Jonotha Brooke for some professional development if you will. It was fantastic. A few epiphanies and a little psychotherapy was just what I needed apparently to spark the fire that now has me writing a whole bunch. Feels great since I've been stuck for a while. Let's hope it lasts! I also met so many wonderful people from all over the United States most of who inspired me deeply and I hope to keep in contact with. What a gift! Upon arriving home from Nashville my band and I had a rehearsal and then set out to Calgary & Red Deer for a couple shows before the Edmonton Folk Festival. Some of you came! Thank you! I sure hope someone saves 'Fratter's Speakeasy' in Red Deer because man is that ever a lovely room to play and listen to music in! We were told on the evening we played that they were only open for two more days before shutting down. Tough to keep music venues running these days but geeze, what a tragedy to see such a perfect room go! Of course the Edmonton Folk Music Festival was charming as ever. A whirlwind, but a delightful one. John Wort Hannam and I got to lead 'Four Strong Winds' for the finale - a song that's taken on a whole new meaning since getting to write with Ian Tyson a couple years ago and hear the story behind the song from the man who wrote it himself! Alas, things are winding down a tiny bit with a few shows set for September. In the meantime, here's an interview I did with 'Folk On The Road' during the Edmonton Folk Music Festival! Ahhh... I'll be driving to Calgary tomorrow afternoon to play a solo set for JUNOfest. I'm remembering fondly such sweet memories of some of my first shows ever that happened to be in Calgary. I used to play at this little club called 'Quincy's' downtown. I remember opening for The Skydiggers, Luke Doucet, Danny Michel and others there. It was such a thrill to get to play for these captive audiences of 200-300 people and is what really inspired me to go after more! I'm still so grateful to Andy Maize (of the Skydiggers) who got me my first gig there, and to Quincy's for having me back so many times. I'm also reminiscing about my very first JUNOfest showcase, when the JUNO's were in Calgary last (2008), the year I released my first album 'Dedicated State'. I played at the piano museum alongside Cara Luft & Ellen Mcllwaine. That night after my set, I was selling my CD's at the CD booth and struck up a conversation with a lovely man and his partner. It turned out to be David Ward from CKUA radio whom I'd grown up listening to on my parent's radio dial. Star struck, I gave him my album, hoping that if I was lucky he'd play it on his show! The following Monday, I was working at my 9-5pm office job during the day and received a call from my frantic little sister who was being picked up from riding lessons with my dad, saying they had just heard me on the radio. David Ward played two songs of mine and had some very kind things to say. By chance, my mom was also driving home from work and caught the whole thing too. She was freaking out. "David Ward just played my daughter on the radio!!!" Hahah. I sat at my office desk and cried a little - and it was just the best day!! I've been to Calgary a million times since then, and played many a show there since, so I'm not sure why all the nostalgia and memories are flooding back in full force today, but I'm really looking forward to heading down tomorrow and what the weekend will bring!! Hey there! I just wanted to let you know I've added a new video for 'All I've Got' off of 'Dream Catcher' to the 'Video' section of my website if you'd like to have a gander! We filmed this in our backyard sunroom on Monday evening. Happy Belated New Year!! Hahah Ok, so I'm a little late on that one. I'll admit, I'm guilty of updating my Facebook Music Page, Instragram etc... more than this here website! But I recognize that not everyone is on social media so I'd better quit slacking! Thanks for checking back anyways... Truth is, my son, husband and I were in New Zealand, travelling around the country and visiting my brother in Auckland for a good month or so, and since getting back to Canada have hit the ground running! 2015 was a beautiful year, laying relatively low with my now one year old. I've been writing a little with old friends, hoping to collaborate and co-write a little more on my next album, touring a little with my other band The Carolines around rural Alberta, and singing backups with the incredible Samantha King! Never a dull moment really! What's coming up? Well, its looking like a handful of shows and the odd festival this spring/summer - mostly around Alberta, but I'm looking forward to seeing some of you out on the road again! Check out my 'Shows' page to find out more. I should also mention, I've recently added my two albums to Spotify, and AppleMusic for those of you that use those platforms, I'd love it if you could please check it out! That'll help me get the process of linking my music to other similar artists on Spotify/AppleMusic and to people around the world! Hey guys! I thought I'd share this l'il ditty I wrote about Alberta with my pals from the band Vera a couple of weeks ago for the ATB Financial annual Alberta Song Contest. Have a listen by copying and pasting the link below and enjoy! Also check out the 'shows' section of the website and stay tuned for some upcoming fall dates in Alberta. Well hello! I hope you're doing well and off to a great 2015! I've been mildly absent for the last couple of months... I was busy having a baby, dreaming and scheming up plans for a new album, and just cozying up over the holidays :) All is well, and its been a blissful couple of months. I've kept the winter and spring schedule for this year relatively low key so I could focus on getting to know the wee one and stir up some songwriting also, but keep your eyes peeled for upcoming shows this spring/summer! In the meantime, I wanted to share with you a romantic little story about my friends Craig & Chelsea and a song I wrote from 'Dream Catcher' called 'Promise'. Welp. I’ve been dating my girlfriend for over 7 years and have wanted to ‘pop the question’ for a while, but was waiting to find the right way so it would be special and unique. Her name is Chelsea and she’s a huge CKUA fan. When I heard that CKUA was offering Christmas song dedications, I figured this was a good opportunity. We were planning a trip to my home in Saskatchewan for Christmas, so I knew we would likely be on the highway on Christmas Eve listening to CKUA. 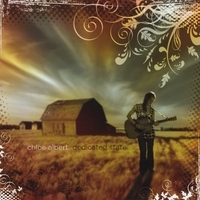 I went online and booked the song dedication, a song we have spoken about using as our wedding song if we were to get married – “The Promise” by our friend and Alberta CKUA artist Chloe Albert. I thought it was going to be a little scary making everything line up perfectly. In preparation I downloaded an app, in case we were out of province when the dedication came up. I tested it before and felt confident it would work no matter where we were, but I was still a little nervous. I was given a time slot of half an hour to know when the dedication would be played. We were listening to CDs and had just left Medicine Hat when I decided to turn on the app as the dedication time was approaching. I was fiddling with my phone trying to get the app to work, and getting nervous, and Chelsea was also getting nervous of my driving and simultaneous phone fiddling. I pulled over, and Chelsea was wondering what I was doing, so I used the excuse that I was texting with my father. Then it popped into my head that we were still in Alberta! I dropped the phone and dialed the radio into the CKUA frequency for Medicine Hat, and we carried on. After only half a song played through, Monica Miller came on the air. She stated that she doesn’t usually get nervous on air, but she was nervous for what she was about to say. “Chelsea, are you out there? Chelsea Sproule.” And Chelsea laughed. “I have a dedication from Craig Aikman.” Chelsea was laughing and asking what was going on, and I asked her to be quiet and listen. Monica read the rest of my dedication. “Chelsea, I love you and I want to spend the rest of my life with you. Will you please marry me?” I then pulled off the highway and pulled out her ring. Chelsea was astonished and elated. We got out of the car, and on the side of Highway 1, 15km outside of Medicine Hat on Christmas Eve, we hugged and danced to Chloe Albert’s beautiful song. Oh yeah, I forgot to mention, Chelsea said yes. Big thank you to TAXI Music licensing & publishing for having me as their featured artist of the month!! Here's to music placements in 2015. A reminder I've got three Alberta shows this weekend with my band! Hope to see some of you there! Edmonton, Fort McLeod & Calgary!! Well hello there! Boy does the time fly… I just wanted to say hello and let you know what I’ve been up to over the past 4 months! T’was a lovely summer around Alberta I must say. Perhaps one of the nicest in a long time. Gorgeous weather, and a whole bunch of happenings around the city and province make for a good time! I’ve been getting to play a lot more gigs with my band lately. For so many years, the shows I was playing weren’t able to accommodate a band so its been nice getting to dig into these songs with a band and play them more than once together! This summer we played The Wild Oats & Notes Festival in Tofield (a great little grass roots bi-annual festival outside of Edmonton) and a few folk clubs already this fall. Matt and I played the Salmon Arm Roots & Blues festival in August which was a real treat, and we’ve got a 3 show mini Alberta tour ahead of us in the next coming week so please take a look at the upcoming shows on my website for details! Joining me on this tour are Matt Gerzymisch, Paul Bergeron and Kyle Mosiuk. I was also commissioned to write a 'theme song' if you will this summer for The Abbottsfield Youth Project here in Edmonton. The AYP are an organization that provide programs for children in the inner city primarily, ages 6-12, that encourage the development of effective living skills, the pursuit of healthy lifestyle choices and the connection of families to the community. They do incredible work for these kids, and it was a privilege to work with them. Other than that I’ve been keeping really busy with side projects. My band The Carolines had a really successful sold out EP release show in Edmonton last week that filled all our hearts with so much goodness for the next little while! For those who don’t know, The Carolines are a project I started with two good friends about a year and a half ago. We wanted a reason to sing together so we started a cover band that performs old classic country ( Willie Nelson, Loretta Lynn, Patsy Cline etc…) and play around Edmonton when we can. Also, in September I did a three show mini tour with a collaborative entitled ‘Honey In The Jar’. This is a songwriter in the round type performance/collaboration I’m involved in with singer/songwriters Karla Anderson and Ben Sures. We had a tonne of fun over those three shows and are planning more shows together for 2015! So this being one of the busiest years of my life, playing in different bands, and managing my career, I’m finding I haven’t enough time for songwriting, so I’m going to be doing something about that this winter! I’ll be slowing down somewhat in terms of tours and gigs for November/December/January/February and putting pen to paper for another album! Thanks for taking the time to check in! Just got word that 'Dream Catcher' has been nominated for a Western Canadian Music Award for 'Roots Solo Recording of The Year' !! Well! I just need to take a moment and reflect on what a great year this has been! It kind of feels like its been my birthday ALL YEAR with the amount of love and support I've had surrounding me. It all started with the incredible support I received from local radio royalty, CKUA radio network. 'Dream Catcher' was the #1 MOST PLAYED ALBUM OF THE YEAR in 2013 on their station, and no doubt it has helped springboard my career over the last year. HUGE thank you to them!! Best station around!! Really. Last week I attended the Edmonton Music Awards where I took home awards for 'Album of the Year', 'Folk/Roots Recording of the Year' for 'Promise', and 'Female Artist of the Year'. What a huge honour it was! Danny Fournier put on an incredible event, and it was such a great way to acknowledge and bring some well deserved attention to all the great music coming out of Edmonton. Three weeks ago I was in Winnipeg attending The JUNO Awards, which was also a bit surreal. A long standing dream of mine for sure. On the Friday eve of the JUNOfest weekend, I played a show called 'Outlaws & Gunslingers' with Justin Rutledge, Ron Sexsmith, Jim Cuddy, The Bros.Landreth, Luke Doucet, The Strumbellas, and a several more incredible artists. It was a sold out show, and needless to mention... SO GREAT! You can find a few photos from the JUNO weekend and Edmonton Music Awards in the photos section of my page. Over the last two days, I've been in the studio with my girls The Carolines recording our first EP. We formed the band just over a year ago for fun, as a way of getting to see more of each other and play music together here in Edmonton. Being that we're all musicians and have been friends for over a decade, it seemed crazy not to play in a band together! We mostly cover old country classics by Loretta Lynn, Hank Williams, Willie Nelson, Patsy Cline etc... in 3 part harmony. At this point we don't have ambitions to write our own music or take the show on the road, but if you want to come out for some two stepping, sing alongs and a good time, check out our website: www.thecarolines.ca and come to a show!! Big thank you to CTV2 for coming to my house and putting this little clip together regarding the upcoming JUNO Awards!! 'Dream Catcher' was nominated for a JUNO Award for 'Adult Contemporary Album of the Year' !!!! Oooohhh myyyyy goooodnessss!!! This particularly blows my mind because I'm a fully independent artist! I didn't really know this was possible! Feeling super grateful for that. Well!!! What a great way to start the New Year!!! 'Dream Catcher' was the #1 MOST PLAYED ALBUM OF THE YEAR on CKUA radio network!!!! What a surprise and an honour. Thanks to CKUA radio and listeners for your incredible support! I'm so glad the album is being well received and that people are enjoying it! Anyway, I'm wishing all of you the happiest of New Year's from here in Edmonton! I'll be ringing in the new year at one of my favourite music venues in Edmonton, with some mighty fine musicians, singing some soul music! New years are an opportunity for new beginnings, a clean slate, a second chance, and for dreams to come true! Harness that, and get excited!! Hello friends! Just wanted to say a quick hello as its been a while. Things have been rather wonderfully busy since releasing 'Dream Catcher' in June, and now I can feel things slowing down a little - in terms of shows - for the winter which basically means its time to get busy booking more shows/tours for the new year! …and have lots of baths and read lots of books. Although I've become fond of the drum kit in our basement lately so there may be no time for books & baths! Anyways… I toured the East Coast of Canada in September which was just splendid!! That was my second tour in the Maritimes and I loved it just the same. More recently I've taken part in a songwriting project alongside Maria Dunn, Jessica Heine & Bob Jahrig from Edmonton where we've been asked to write 3 songs each inspired by the uber talented Sharon Nolan's portrait photography. We'll be putting on one show as a part of a film festival in Calgary this Saturday November 16th at River Park Church. I already know its going to be a magical evening. A couple upcoming shows I'm really looking forward to are 'The Arden Theatre' in February with Rose Cousins, Mary Gauthier & Lori McKenna, and a show with Catherine MacLellan in Calgary in January at The Ironwood. Hopefully I'll get to see some of you there! Oh, and Halloween, how could I forget! This is me a few weeks ago dressed in 1940's attire. Muahh! More chart topping for 'Dream Catcher' !!! Thank you CKDU in Halifax for spinning my album all the way to #1!!!! AND 'Dream Catcher' has made it to #5 in all of Canada on theFolk/Roots charts!! Hey guys! I'm sorry to say that the Calgary CD Release show schedule for this evening at The Ironwood Stage has been cancelled due to the recent flood. I'll be rescheduling the show so stay tuned for the new date! For those of you in Edmonton, 'Dream Catcher' is now available at 'Permanent Records' and 'Blackbyrd Myoozik'!!! The album will be available to the rest of the world on iTunes and CDBABY Tuesday June 11th!!! Holy man! 'Dream Catcher' is #1 on the CKUA charts right now!!! If you didn't catch the interview I did with Grant Stovel discussing the new record on 'Lunch Box' at CKUA Radio this week, you can listen here! 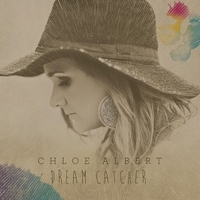 'Dream Catcher' was #5 on the CKUA charts last week! Big Thank You to CKUA Radio, and CKUA listeners for all your support! 'Dream Catcher' is in the Hotbox at CKUA Radio! Edmontonians & Calgarians, don't forget to book your CD Release tickets for the Alberta release shows! Hey guys! Well, I picked up the master for the new album yesterday and sent it in the mail to get manufactured today! Bitter sweet emotions for sure. There are so many hours put into making an album and its a labour of love indeed, so to turn the page on this chapter while SUPER exciting, also left me with a tinge of sadness marking the end of a really fun project at Sound Extractor Studios! The album is called 'Dream Catcher', and is a collection of songs I've written over the last few years in my travels. I'm going to be playing a few CD Release shows around Alberta with some killer musicians within the next few months and would love to see you there! Check out my 'shows' page for details on how to purchase tickets and stay tuned for more dates to come! Well, I just got back from a ten day tour with my good friend Lesley Pelletier. We played five shows between Alberta and B.C. over ten days and had an awesome time. I think my favourite show was at the Duncan Garage Showrooiday at the Blue Chair Cafe! Though I bring my laptop with me everywhere I go, its tougher to get into work mode when you're on tour..especially when you're on tour with one of your best friends, and all you want to do it go get pedicures and go out for lunch. So naturally, usually when I get home from extended periods of time away, I feel a little overwhelmed with all the 'to do's'. That's what I'm about to get cracking on as soon as I finish saying hello to you! The Album! I'm just figuring out and finalizing artwork, and I'm looking at an Edmonton CD release date of Sunday May 26th, so mark you calendars! You can also keep your eyes open for more CD release dates around Alberta in May and June. Hey guys! Just wanted to let you know I'll be doing a mini tour through B.C. with one of my best friends Lesley Pelletier...Who is 7 months pregnant!!! I imagine there will be lots of stopping on sides of roads for pee breaks...perhaps more than usual, but I'm super excited to tour together and hopefully we'll get to see some of you at these shows. Please check the shows out on my page, and e-mail me if you have any questions! Here's a link to Lesley's stuff. On this tour we'll each be performing one sets worth of songs. Lovelies! Happy Valentines Day! And with love from me to you, a love song for you that I filmed while in Nashville this past November with 'Yeah Yeah Creative'. I had such a great time working with Tyler and David and think they did a beautiful job of capturing the essence of this song, and made me feel at ease all the while! You can take a look in the 'VIDEO' section of my website. In more exciting news, I think I can officially say I've completed the last day of tracking in the studio for the new album! I say 'I think' because I'll be honest, I could revise, revisit and redo from now until eternity. Thankfully deadlines prevent me from doing so, otherwise you'd never hear the album and Stew Kirkwood-engineer/producer- might just be tempted strangle me to death. Having said that, I'm really happy with the way things have turned out and can't wait to share it with you. Until then, I hope you enjoy the video for 'Pardon My Eyes' from my album 'Dedicated State' and I'll be in touch soon! Hey guys! Just wanted to make note of a slight change to one of my show dates, February 7th @ Jeffrey's Cafe & Wine Bar in Edmonton. I was scheduled to perform a solo show, but instead will be performing with 'The Carolines' a new group I've started with two of my girlfriends singing classic country music in 3 part harmony! We normally perform with a full band, but because Jeffrey's is a small intimate venue, we'll be performing just the 3 of us. Maybe we'll see you there? Happy Holidays everyone! Hope you all get a chance to spend some down time with friends/family and fill your bellies with delicious food! This is me (on the left), my sister, and sister in law snowshoeing east of Edmonton on Christmas day. Hi!!!! Well my three week trip to Nashville is coming to an end. Its been swell, as usual. I've played a tonne of writers nights, shows, wrote a handful of new songs- some on my own, some co-writes, made a music video, and made some new friends! I'm also really excited to announce that I'll be working with an indie radio/distributions company out of Minneapolis in the new year as a result of this trip. Though I've had an awesome time in Tennessee, I can't say I'm not anxious to get back into the studio in Edmonton and finish the record. It was sort of perfect having a break from recording for 3 weeks to be able to take a breather, reflect etc.. but I'm super excited to get back and 'put the icing on the cake' so to speak. Now today, is American Thanksgiving, and while almost everyone in America is with friends and family feasting on turkey and sweet potatoes, I'm sick as a dog at home alone, blogging on my website! For the past 4 days I've been bound to the confines of this place, reading, sleeping, and watching way too many t.v. series from the 90's on my laptop. Luckily the backyard is lovely, and when I found myself going a little stir crazy indoors, I'd step out and enjoy a nice cup o' tea in the sunshine! Reporting back after the 'Engadine Sessions: Come To The Mountain Tour'... It was a success! I had a lovely week with Suzie Vinnick, Cara Luft, Kat Danser, Cori Brewster and Karla Anderson playing shows around Alberta to amazing crowds. And just as we were getting to know eachother better as musicians, and solidify our show...the tour was over! Ah well, that's part of the magic of it. Leaving on a high note is always good! If you haven't already, I urge you to check out the album we made this past April/May on iTunes, and if you're in the Canadian Rockies, check out Mount Engadine Lodge, where the album was mostly written, and recorded. Its a beautiful place. Other than that, I've been busy in the studio @ SoundExtractor Studio in Edmonton recording away! Its really fun to be back in the studio, and I'm SO excited to release this next album! Welcome to my new website! Thanks to Hostbaby, and a little technical help from my friend Marty Pawlina, I was able to make this myself! Well, there's lots of exciting stuff coming up and you'll be able to find all the latest updates here! I'm in the studio most of October recording a new album, and performing lots around home in Edmonton in the meantime. I'm also really excited for our 'lil mountain tour coming up in late October with Suzie Vinnick, Cara Luft, Kat Danser, Cori Brewster, Karla Anderson and myself! All six of us got together in May in the beautiful backcountry of the Kananaskis valley, collaborated musically, wrote, and recorded an album in about 6 days! The result is 'The Engadine Sessions: Come to the Mountain', a 14 song album of songs written and/or performed by us six in May. Please check out the 'shows' page for dates around Alberta. They're filling up quick! So feel free to browse, and keep in touch! I'll be continuing to add to and improve the site over the next little while, so stay with me!